Gabions get the name from the Italian word gabbione which means “big cage”. This is actually box filled with rocks, concrete, or sand and soil. In the past, gabions were used in civil engineering, road building, military applications and nowadays these gabions basket are used for decoration for roads retaining walls, for planting a flower in it, for making a garden fence etc… I think that by the use of the gabions, stones are recycled and transfomred into modern architecture! Do you know that the first person who designed a type of gabion called a Corbeille Leonard (“Leonard[o] basket”), in Milan was the famous Leonardo da, Vinci? 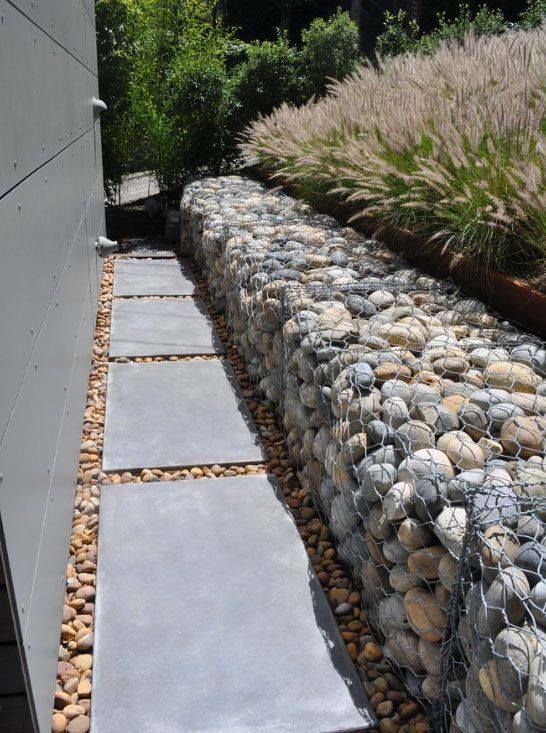 Stay with us to the end of this post and see our gabions basket used for garden decor! 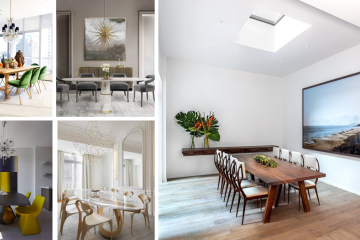 Share with friends these amazing ideas! Nice gabions decor for backyard place, here you have seating area and coffe table and both made from stones and cages. 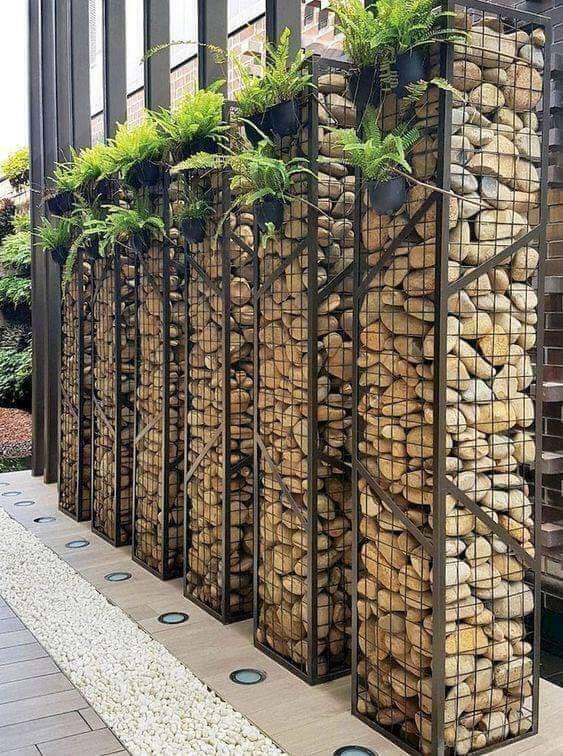 Perfect idea to make a fence in the front part of the house, factory or nay other place you want to be modern. Also, you have enough place here to plant flowers and to enjoy in modernity. 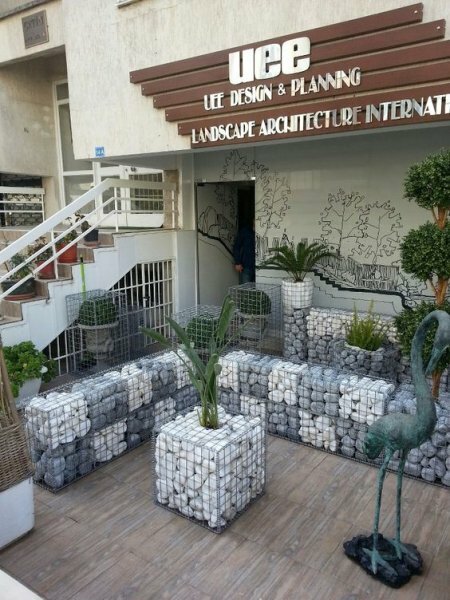 how great idea to bring the beauty in the traffic place and to add gabions as apart from the roads architecture. We can only admire this beauty of architecture and engineering! Many times when the wins is strong, all the flower pots we have in the garden are falling and this is so annoying. 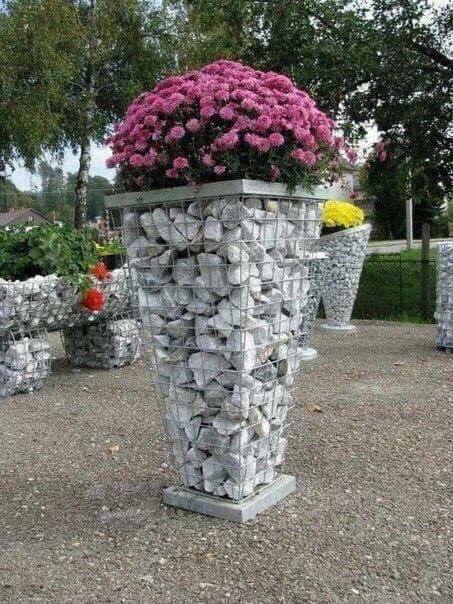 That’s why you need gabions basket flower pot to plant here your flower and to forget about this problem. 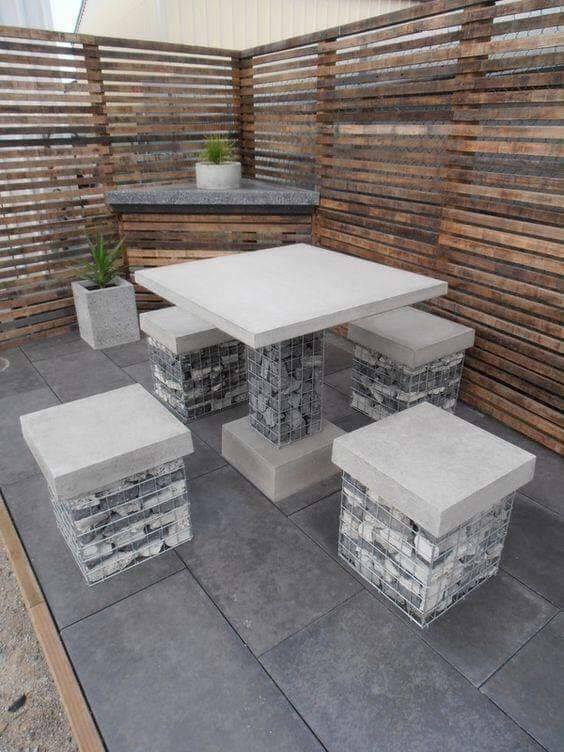 Your backyard can be your favorite place if you choose to add here gabions stones and table and to enjoy in breakfast here. See this nice design for backyard place. 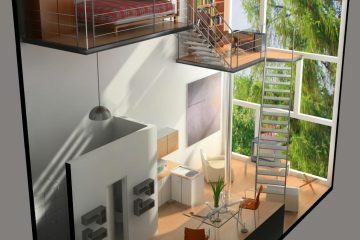 Use our ideas if you want to have always organized place and to love the place. See this photo and find idea for you garden and backyard place. 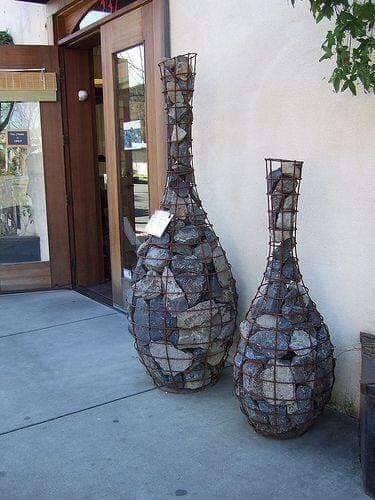 There is nothing more lovely than concrete gabions orbs that you can use for planting here your flowers plants and to add this orbs in a place that is empty in an outdoor place. 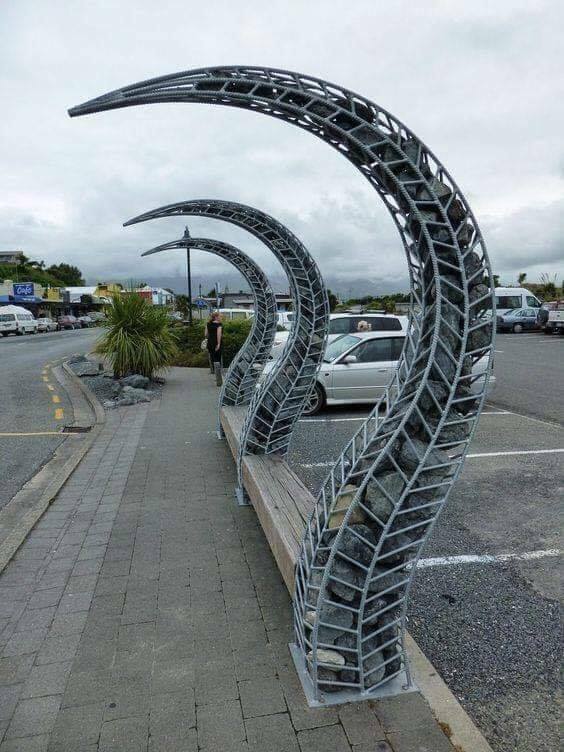 Add it in the front yard or backyard and love the design! 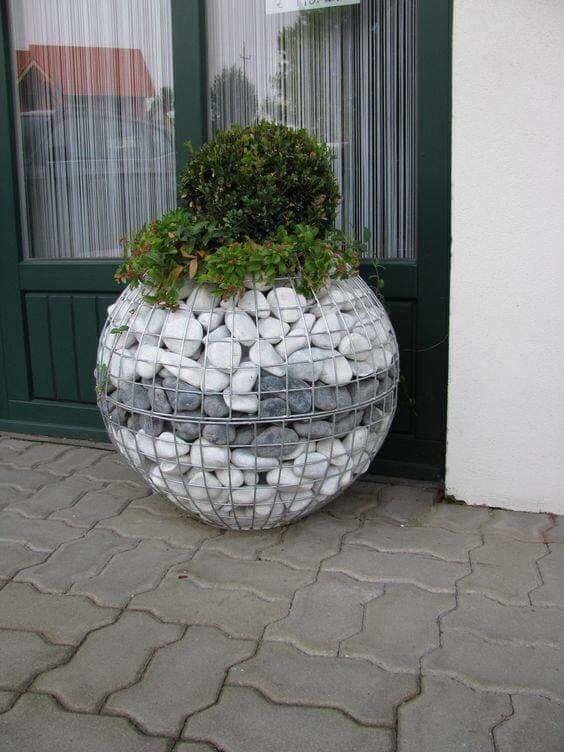 Create art in the outdoor part of the house with lovely gabions fillwed with flower pots. 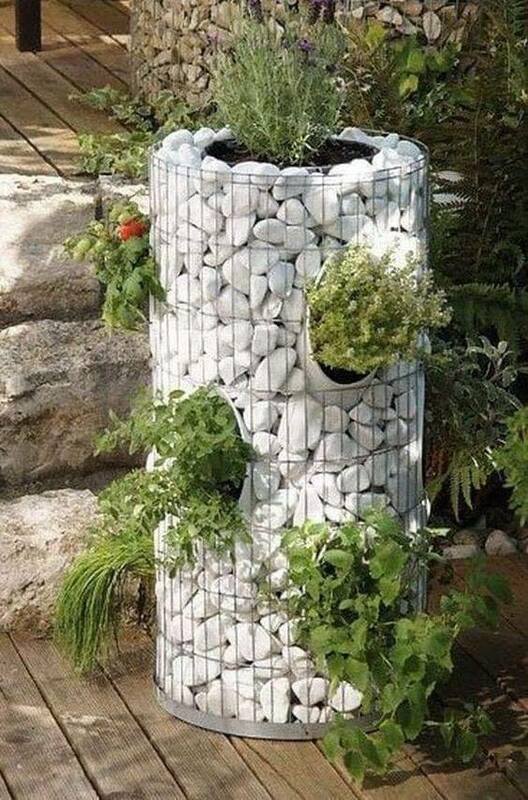 Grow you flowers in the best way and share with your friends the idea! And we will finish the post with gabions filled with pots and rocks. This is the design you need for having modern front yard! 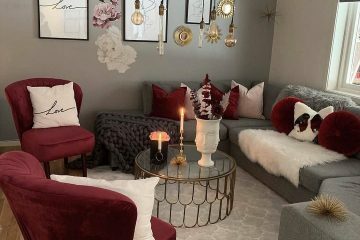 If you read all this and you still have free time, also read about our wooden cottages interior and exterior and see the beauty of living in a mountain small house! Thanks for your minutes!! !